The Caritas association Leipzig e.V. for mothers and children is offering vacancy for EVS volunteer in Germany. Project starts on 1st November 2012 and its duration is 1 year. It is a place for affected women, girls and mothers with their children. In the living group are young women, pregnant women as well as mothers with children who are not able to pass social muster alone and without any help. 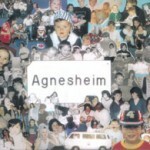 In the Agneshaus they can find a community like a familiy. 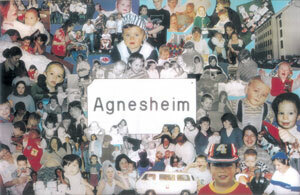 The work of the Agneshaus takes place in cooperation with the youth welfare service. Tasks for future volunteer: She is involved in every day life together with the women and children, sharing duties as well as leisure time activities with them. The volunteers support women in taking care for their children. If the mothers are in school or training the volunteer takes over the child care under instruction by the pedagogues. A facilitation according to the special needs of the children is important. The volunteer can learn about the special programms for that and can try to handle them. The volunteer also possibly accompanies the mothers in organisational things like going to the doctor with their kids or to administrative bodies, helping the mothers with their kids during those tasks. Through the contact to the women of the same age there is the possibility of unterstanding each other on the same level. In the afternoon and the volunteer will have the possibility to design leisure time activities with the mothers (be it for the mothers themselves or for the kids). Own ideas and suggestions concerning the leisure time activities are in demand. The volunteer has the chance to develop an own project, in which she presents his or her own country. This could be e.g. handicraft, music or cooking. The volunteer is involved in the pedagogical and organizational planning. Criteria: Only female volunteers are accepted by the Agnesheim. We would like to see the following: reliability, punctuality, willingness to work with kids from 0-6 and with young mothers in difficult life circumstances (practical experiences in those fields is a plus, but no must), autonomy, team skills, willingness to integrate, creativity, basic knowledge of German. Interested volunteers should ask for the required questioneer to evs@studentplus.ro and send CV and Motivation Letter before deadline 29th April 2012. First feedback on the application will be delivered within one week. Those applications who pass the preselection are forwarded to the project responsables who usually decide within two weeks after the application deadline. More details about project are avaible at at Database of Accredited Organisation for Hosting EVS http://ec.europa.eu/youth/evs/aod/hei_list_from_query.cfm with Reference Number 2008-DE-213.